Riveron is a larger business advisory firm with eight offices in the US and more than 250 employees. It has announced its new Cloud ERP Practice this week. Founded in 2006 Riveron provides consulting, public accounting and industry experience in a wide cross section of industries. The practise will initially focus on private equity firms, lenders and corporations across a number of sectors. ITOrizon is the last of the three businesses joining the NetSuite Alliance Partner Program. The firm is a well established Oracle Gold partner with customers across the globe. It has offices in India and Atlanta, USA. It has traditionally focused on Supply Chain Management, Enterprise Resource Planning, Enterprise Order Management, and Digital Business. ITOrizon has several other vendor relationships including Manhattan Associates, IBM, Microsoft and earlier this year it also partnered with Ramco Systems, a competitor to NetSuite. ITOrizon has an impressive list of customers and the NetSuite partnership makes a slot of sense. It implements Oracle WMS already. Large enterprise do not wish to deploy a full Oracle ERP in all subsidiaries. The integration between Oracle WMS and NetSuite will allow those multinational companies to take a two tier ERP approach. With the partnership in place ITOrizon are well placed to offer a wider solution to its existing clients. 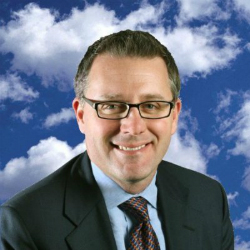 For NetSuite these are three potentially significant new partners. Riveron especially, with its reach into Private Equity could have a huge ripple effect to those companies’ investments. It is also an interesting mix. 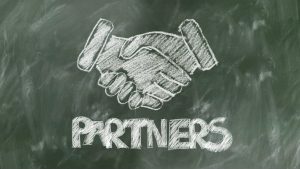 An existing Oracle partner in ITOrizon. Extending long standing relationships in Kodella and creating a completely new entity with Riveron. If NetSuite can continue to win these potentially new and significant partners. It should not only be able to meet the customer expectations of its alliance program but also extend sales from them significantly.